Who will win? 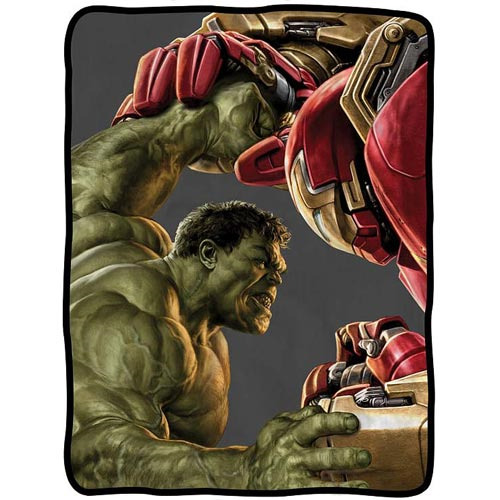 The Avengers: Age of Ultron Hulkbuster Close Fight Fleece Throw Blanket features a close-up image of Hulk furiously fighting Iron Man's Hulk Buster armor. Will Hulk prove he's the strongest one there is, or will Tony Stark's new suit prevail? Measures 60-inches tall x 45-inches wide. 100% polyester. Machine or hand wash in cold water. Air dry, Do Not bleach. Ages 12 and up.